September | 2015 | Nicholas Hoffman & Co.
We at NHCO have just this past week begun our Fifth Annual Women’s Investor Symposium. Those of you familiar with our firm are aware of our commitment to the education of our clients and others. We engage in a series of educational efforts that range from current families, to local high schools, to college students, to as far away as Cambridge University in England. This week we began our annual four-part series that runs through the fall and is geared to women investors. At this past Wednesday’s meeting we discussed the differences in the actual investment experience between the various providers of financial services. During the discussion I reminded my students that as a Registered Investment Advisory firm (RIA), NHCO has a “fiduciary responsibility” for our families. One of the women in attendance chimed in that she was a fiduciary. I asked in what capacity and she replied “I’m a fiduciary for my kids”. Boy, if there ever was an answer which defined a fiduciary, she nailed it. The fiduciary responsibility for our families is one that our firm takes very, very seriously. Our whole organization and culture is designed to ensure we fulfill this role. So how do we view what it means to have fiduciary responsibility? Let’s start with the definition of fiduciary which comes from the Latin word “fiducia” meaning trust. In reading various definitions, there are a number of nuances; it is a person who has the power and obligation to act for another under circumstances which require total trust, good faith, and honesty. The fiduciary should possess great knowledge and expertise about the matters being handled. They must also avoid self-dealing or conflicts of interest. A fiduciary is held to a standard of conduct and trust above that of a stranger and perhaps most importantly, they must put the family’s interest ahead of their own. RIA firms like us are different from other types of firms that offer investment advice or sell investment securities. Different rules apply to how each interacts with their given investors. The US Supreme Court has ruled that Registered Investment Advisors are, in fact, fiduciaries. When the woman at our symposium exclaimed that she was a fiduciary to her children, I realized for the first time, that this certainly must be the highest and best example of a fiduciary. What better definition of the role of fiduciary than that of a mother or father raising their children? From birth to the grave, parents sacrifice, protect and put the interests of their children before their own personal needs. The fiduciary work we do with our families is one that is typically done over years and the end result is invariably a strong bond of trust. I realized from that comment on Wednesday that a natural fiduciary inevitably emerges once a woman realizes she is having a child. 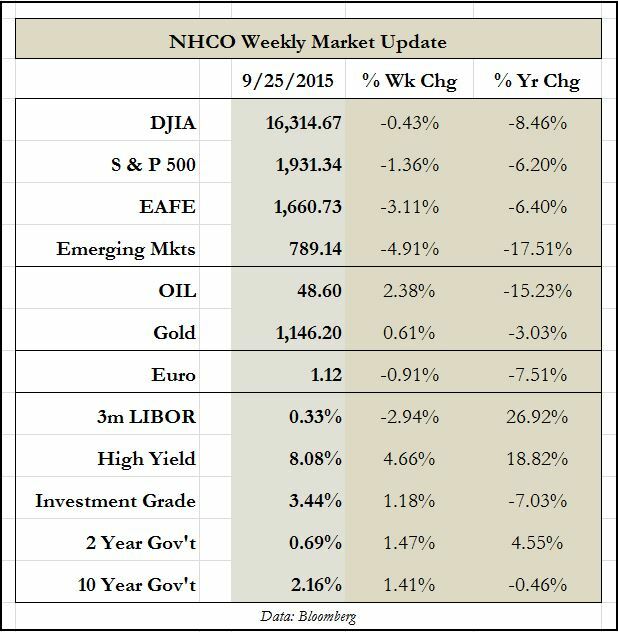 This entry was posted in The Weekly and tagged fiduciary, RIA on September 28, 2015 by nhoffmanandco.